I am the proud owner of a new Dell touch screen computer, with the Paramount 320 installed. When I try to push and hold a Toy Counter button, such as the Train Whistle, it sounds only momentarily, and then behaves like a right mouse click, displaying the Auto-Detect menu. Is this a Hauptwerk setting, a Windows setting, or something else. Obviously, for most of the stops and buttons you only need a momentary action, but a few are intended to be held. I have this sample set and with a ViewSonic mine exhibits the exact same behavior. It seems the touch is only for momentary switching as the cymbal roll, crash, gong, triangle a few other sound effect work correctly. To get the Train whistle, Birds, Car horn, and other effects to sound properly, try mapping an unused piston or maybe a computer keyboard key as a work around. 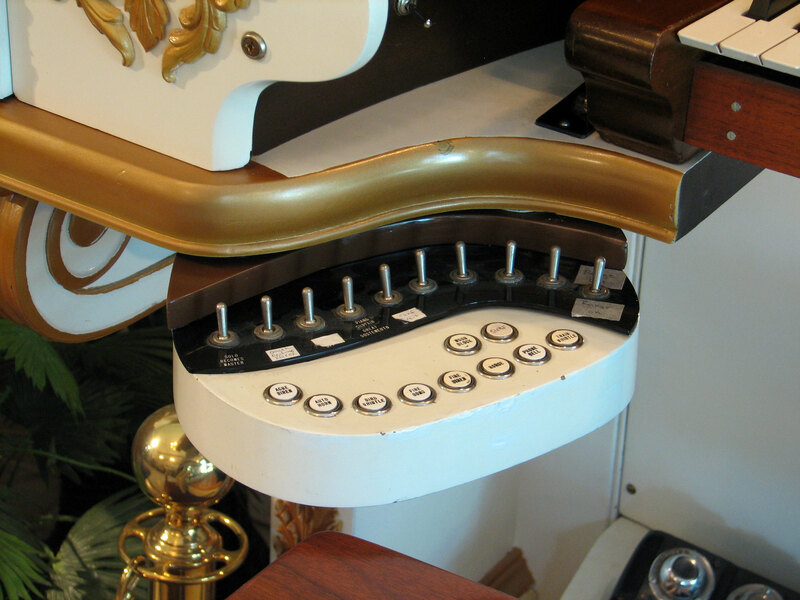 On a traditional Wurlitzer theatre organs, these sound effect buttons were sequestered to a hidden swivel drawer (many times referred to as the junk drawer) mounted under the keydesk usually on the left side. You can create your own junk drawer by adding an under desk, pull out drawer with a Launchpad mini installed (7.28" X 7.28"). I realize this is probably overkill for your request but my experience with HW is you can always make use of more assignable buttons. Last edited by magnaton on Mon Sep 24, 2018 10:35 am, edited 2 times in total. On the Wurlitzer console those are toe studs aren't they? Press and hold can be disabled/altered in Pen and touch settings, if desired. organtechnology wrote: On the Wurlitzer console those are toe studs aren't they? Yes on the Paramount virtual console and on original Wurlitzer consoles they are on toe studs with percussion effects on the piano levers. 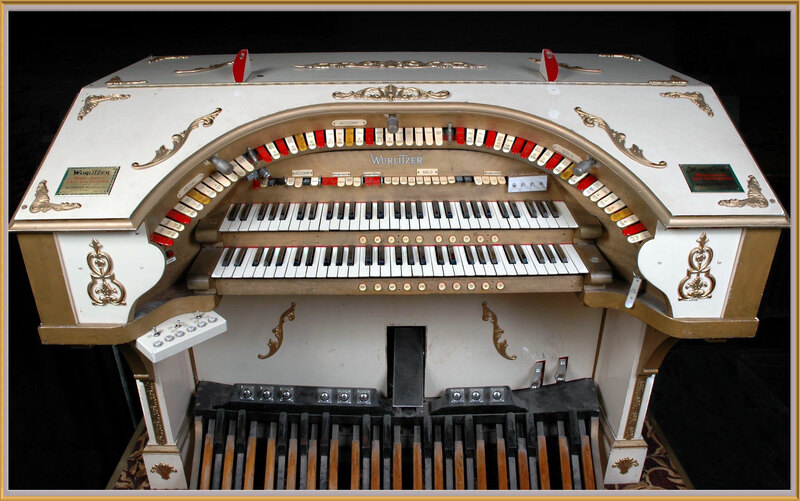 Every theatre organ I've played (at least those with electronic relays) migrated the sound effects to the junk drawer with some duplication remaining on the toe studs. Wow ... Interesting historical discussion as an added bonus! But, unfortunately I still haven't solved the original problem. The short suggestion about the Windows 'Touch' settings seemed to have the most promise, but that did not change the momentary nature of the press -- only disabled the pop-up right-click menu. Yes, I could add another Touch Pad (plan to some day). But for now, I'm still wondering why pressing a button on the touch screen doesn't act the same way holding the mouse button down does. Any other ideas? Obviously, this is not the end of the world but I'd still like to know.